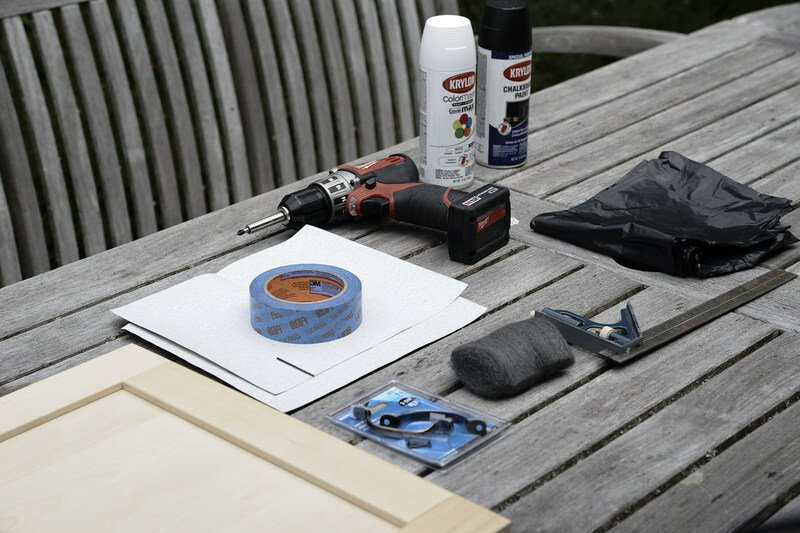 Assemble your tools and materials. 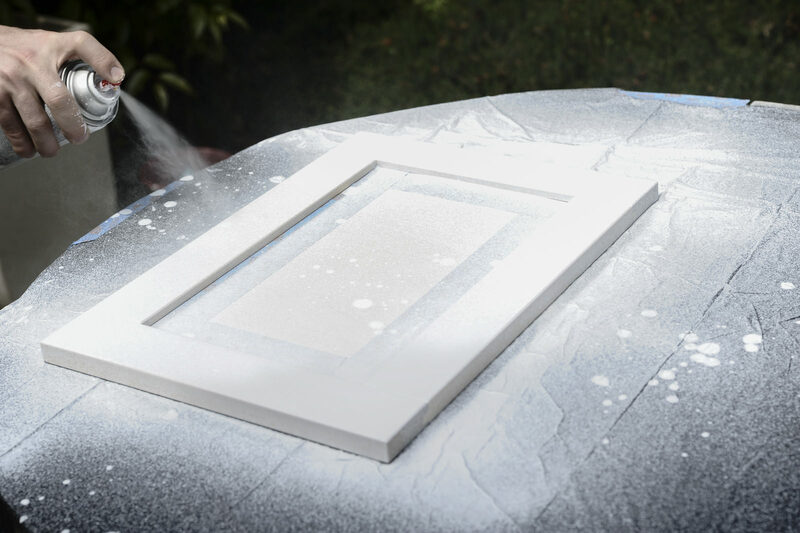 Make sure you cabinet door is clean and smooth. 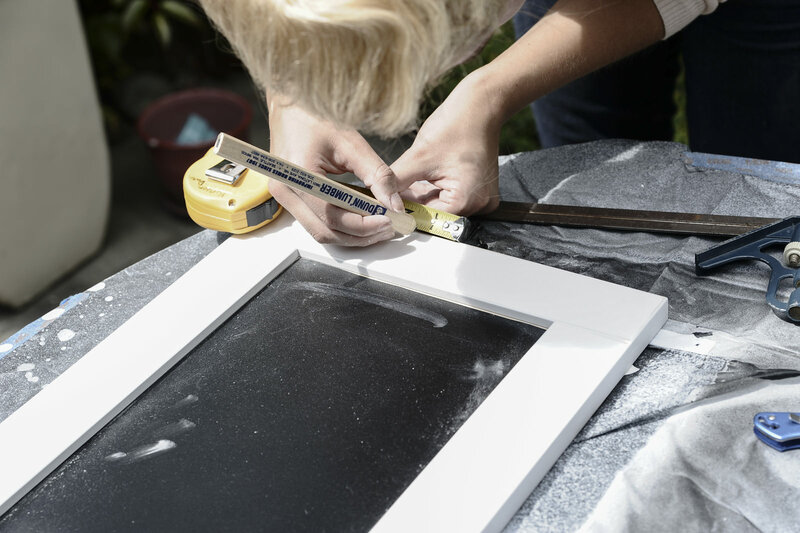 Use a piece of sandpaper. Also be sure to remove any hardware from the cabinet door. We found ours sans hardware, so we skipped this step. 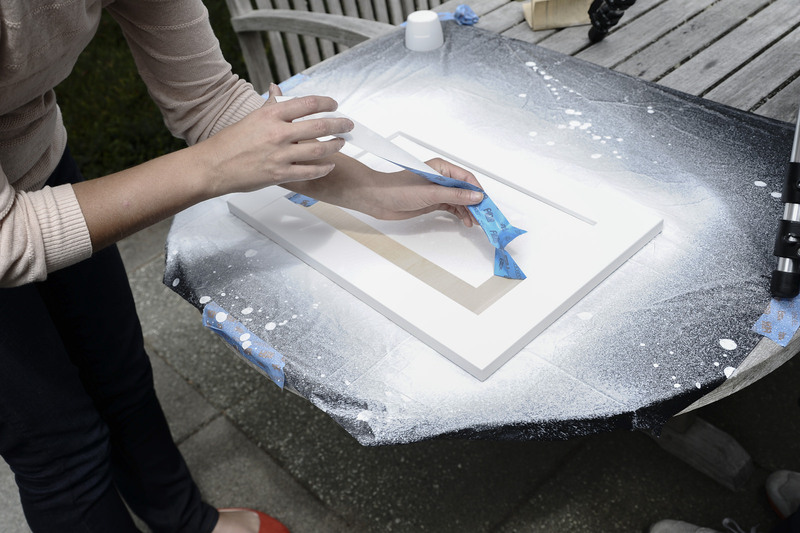 Spray paint! 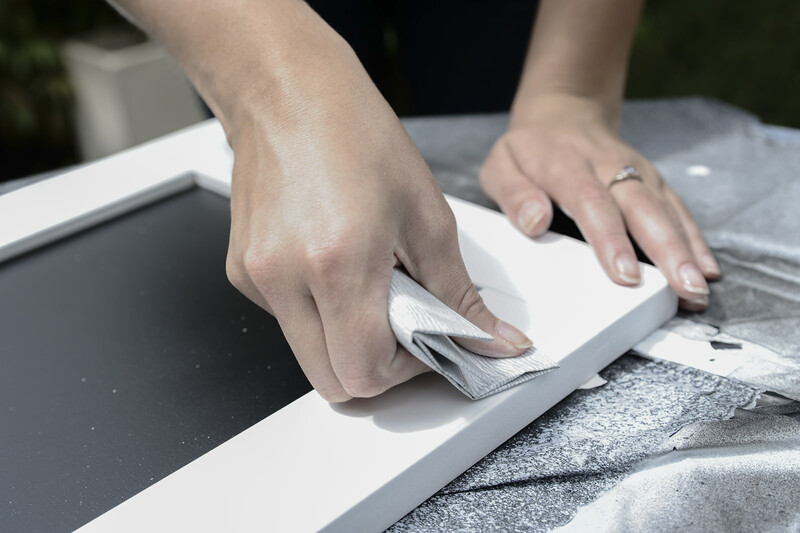 Make sure you cover your work surface. We used a contractor bag, but you could use newspaper or paper bags. 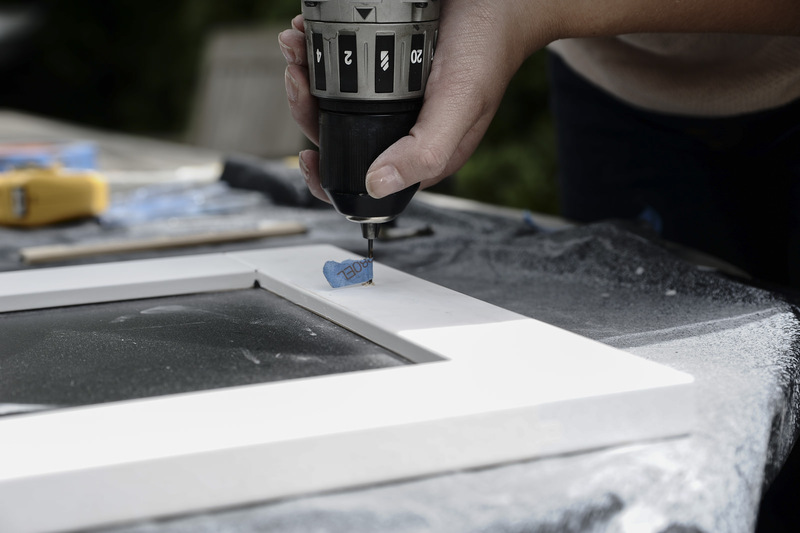 You'll also want to spray paint in a well-ventilated area. 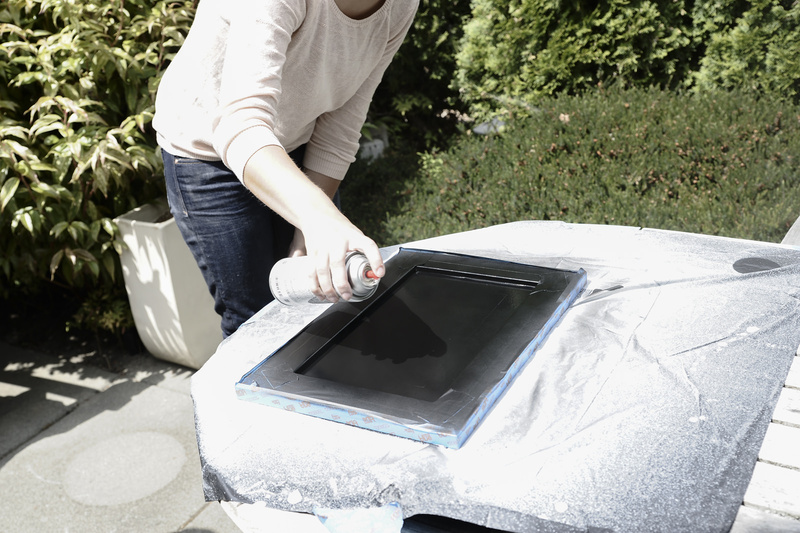 (It's officially summer in Seattle - this is a great backyard project for the weekend!) We taped off the center of the cabinet with painters' tape. We only taped the edges, but in hindsight, we'd cover the center with a small piece of newspaper. 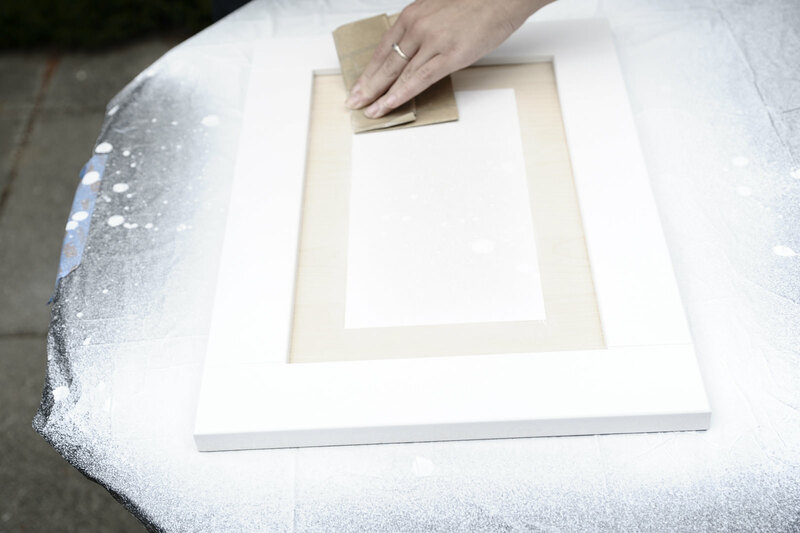 Use a paint + primer spray paint and apply two coats per the instructions on the can, allowing time to dry in between coats. 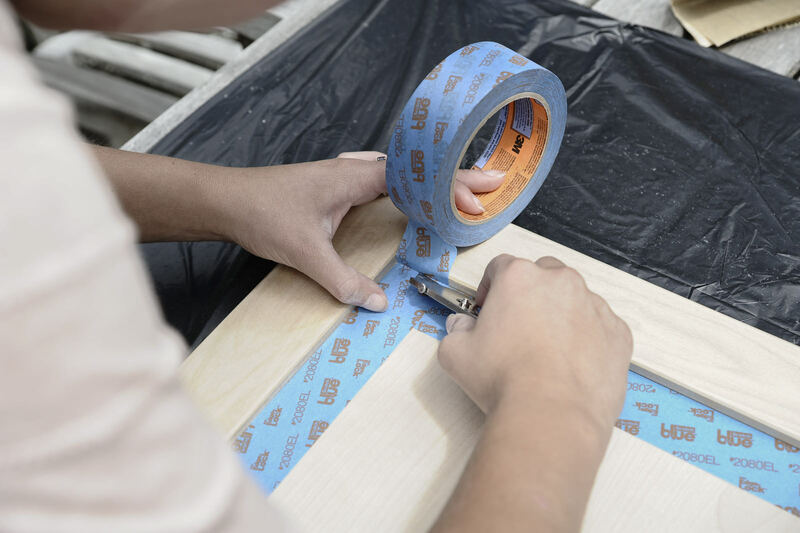 Remove the painter's tape. Because we didn't cover the entirety of the cabinet during the first spray painting, we needed to sand down the center of the cabinet. As mentioned above, you can skip this step by taping a piece of newspaper to the middle section. What's better than spray paint? 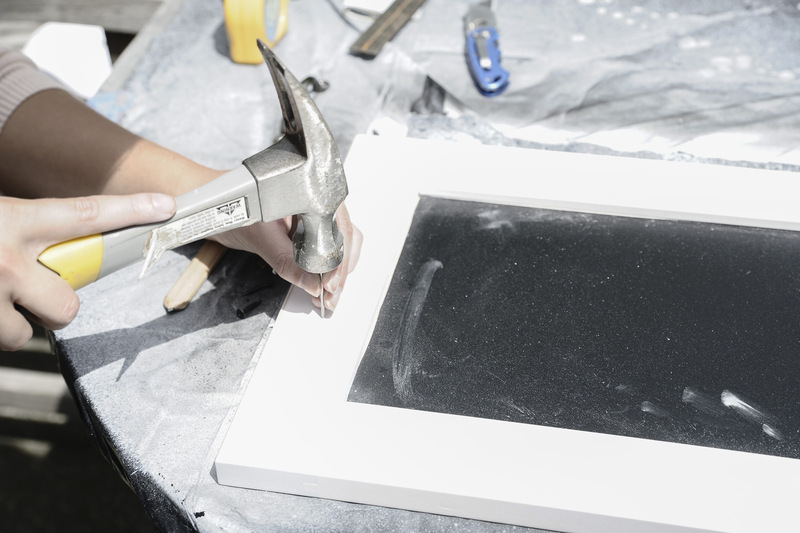 Chalkboard spray paint! 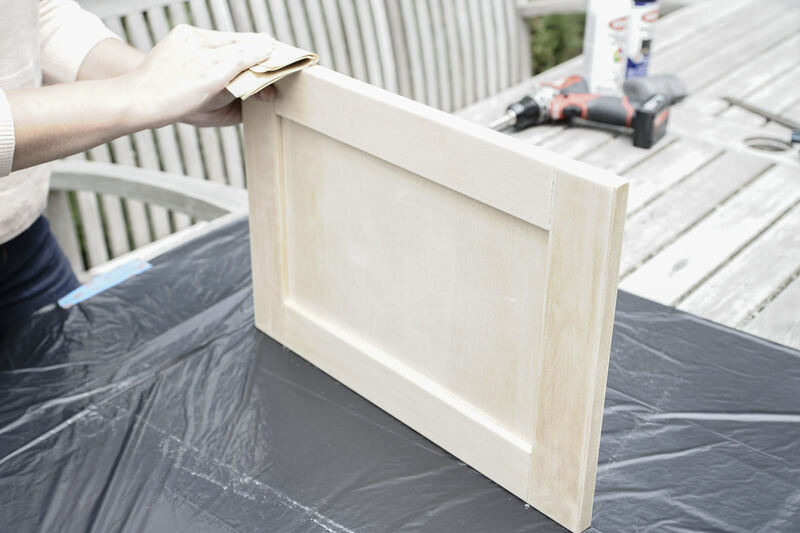 Tape off the sides of the cabinet and apply two coats of the chalkboard spray paint per the instructions on the can, again allowing time to dry between coats. 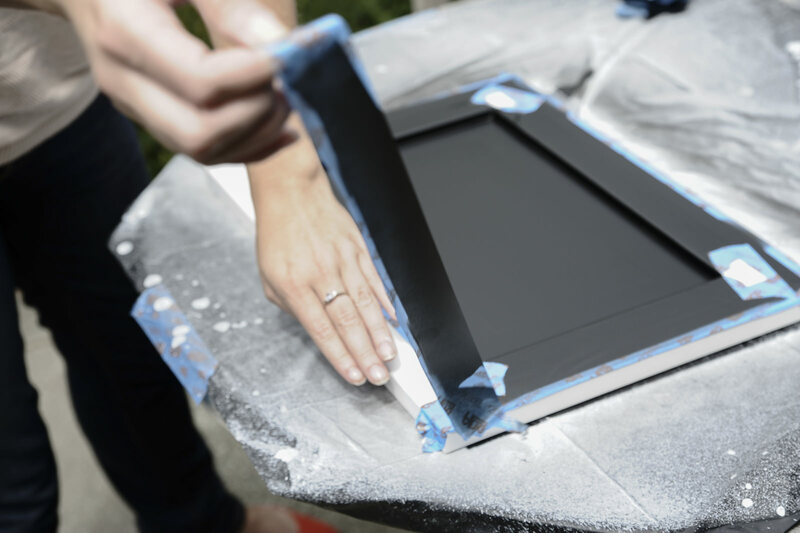 Once the chalkboard paint is dry, remove the tape and use a fine-grit sandpaper to lightly distress the edges of the tray. Measure for the hardware. 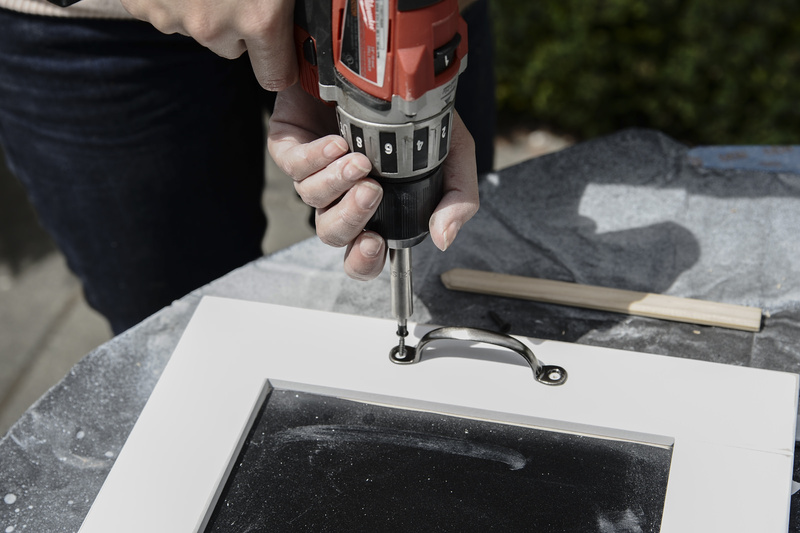 Use a drill bit to prepare the cabinet for the screws. Attach the hardware as per the instructions on the package. 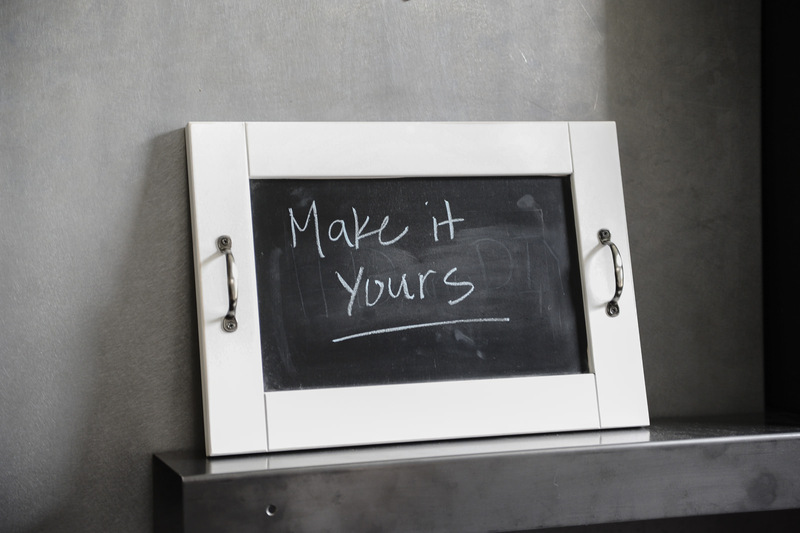 Step back, admire, and chalk it up! 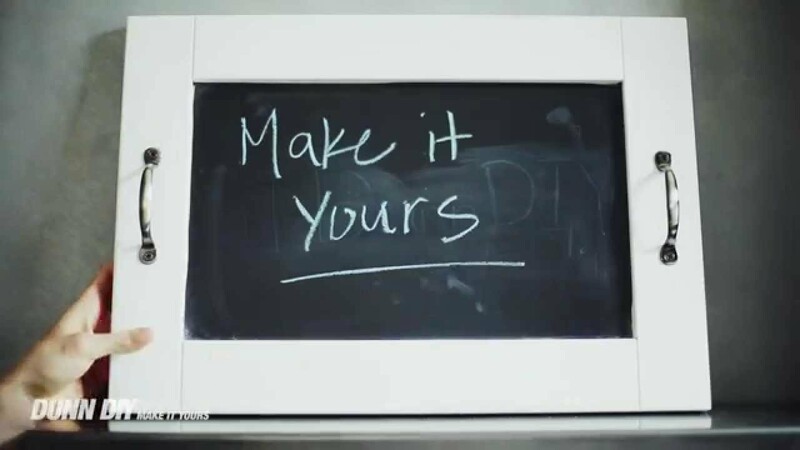 Write your favorite message and display for all to see. We're showing you how to create a unique and refreshing cocktail with only three ingredients. Cheers! Our deck got a sleek, contemporary update with the installation of Deckorators® balusters, which install easily with screws that face-mount from the outside.